"Hydroponics" in its simplest form is growing plants in a "medium" by supplying all the necessary nutrients in the plants "water" rather than in the soil. This new and innovated approach to "dirt less growing" allows the plants to get exactly what they need to produce exceptional tasting fruits and vegetables with out competing with weeds, thus giving a bigger yield. 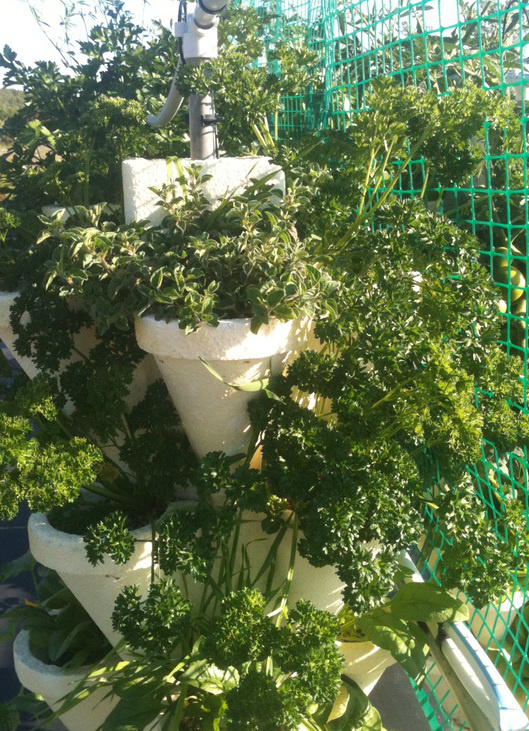 Each stack is made of heavy duty Styrofoam with each pot having 4 sections for each plant. Each pot is then stacked 5 tier high, one on top of the other on a pole. (See photos) Each stack therefore holds 20 plants which can be turned for even distribution of sunlight. Growing plants hydroponically and vertically allows the gardener and farmer to grow more food in less space, more efficiently in smaller areas. This includes greenhouses, patios, decks, roof tops, limited backyards, etc. as well as be able to produce food in parts of the world where space, good soil and/or water is very limited. Hydroponic growing also uses a minimal amount of water, therefore conserving one of our most essential resources. We are currently growing 15,000 u- pick strawberry plants and vegetables plants on a quarter of an acre. We have also started blueberry plants, and raspberry plants. The strawberries are ever bearing which means that they will continue to produce berries from June until the end of October, or the first hard frost. This uniquely designed way of picking allows you to pick standing up, not on the ground or on your hands and knees. 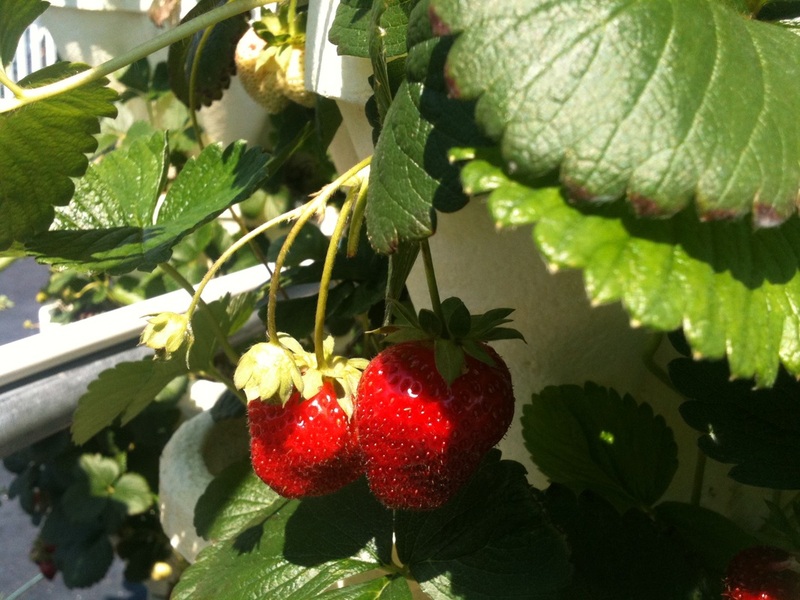 U-pick is fast and easy for the freshest tasting berries!